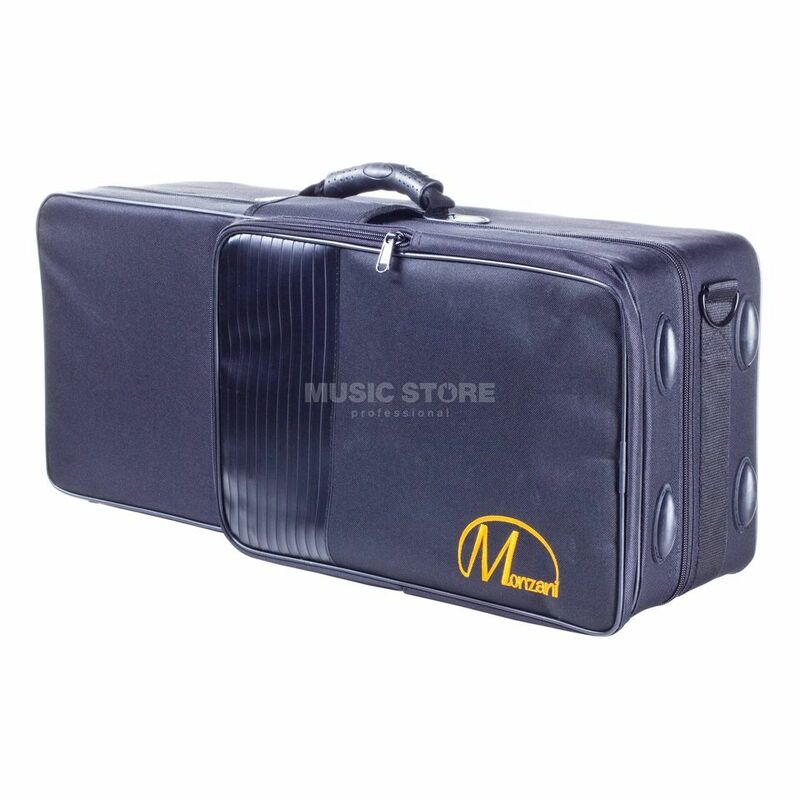 The Monzani BAS-02 STD Eb Alto Saxophone Case with Back Straps featuring a carrying sling system and two sturdy carrying handles. This lightweight case is internally provided with a foamed material and offers the instrument a safe and secure place of storage. There is a compartment for the body, the S-bow, mouthpiece and accessories (such as a reed or tuner) available. The exterior features an attached flat pocket for notes and other accessories. The rugged nylon cover is water-repellent and durable while on the back, stowable backpack straps are available and provide a back-friendly and convenient method of transportation. The support feet on the bottom guarantee stability when placed in a stationary position on the floor.